You need more than a monkey for expert survey design, cross tabs and significance testing. We can help! Harvey offers 3 ad readership programs proven to increase ad sales and demonstrate ROI. Ad-Q is focused on providing quantitative feedback for multiple advertisers. HCM is a unique service that provides in-depth verbatim comments from audience members on select ads. SAS offers a deep dive into a single ad and is also ideal for pre/post testing. 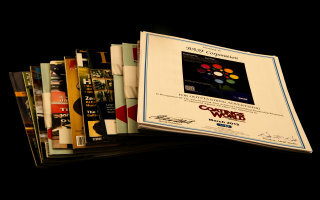 Click here to view a comparison of the programs. A publisher’s most important asset is its audience. 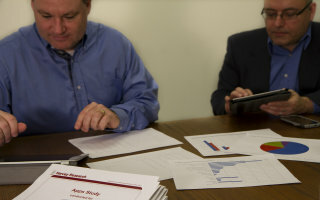 Harvey’s Custom Research division specializes in providing independent, third-party research that will help you demonstrate the unique strengths of your audience through our Total Audience Measurement, Platform Profile, Website Visitor, App User or Panel Research programs. The phrase ‘Content is king’ has never been more true than it is today. Utilize our Custom Research programs to provide editors and internal content creators with a road map to the types of content your audience is most interested in, what enhancements they would like to see and how they interact with your brand across all channels.